Kerala is not a labyrinth, nor is it a black hole. Yet, time and again, stories have been smuggled in, weaved into the backdrop and awkwardly hoisted up as a frame. Once a character has been transported to a place that, like any other, is deeply embroiled in its own politics, they enter a claustrophobic black box where the only escape is to either leave entirely or shut themselves from within. 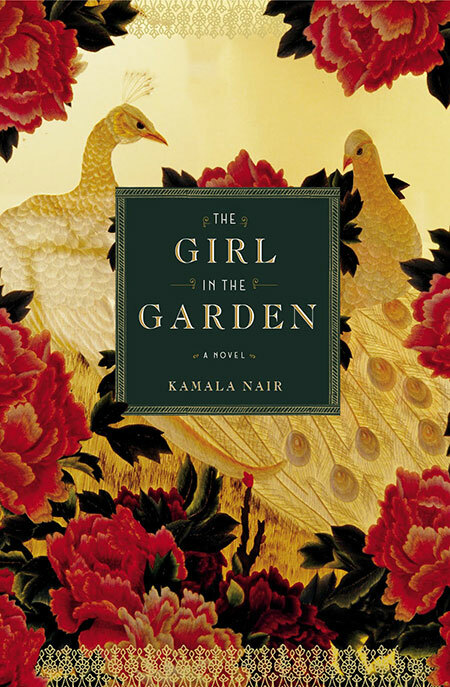 The Girl in the Garden book cover. A nightmare has ensued in the Varma household, for as long as the inhabitants can remember. Their father has left behind an inheritance, with all its complications of being irrefutable. Each of his three children will suffer in their own way, and each will find his own narcissistic way of reacting. Chitra, who fled the chaos years ago when it broke out, grows increasingly restless and returns to unscramble the several loose ends she left untied. But when she spirits her ten-year-old, Rakhee, away to India for the summer, she doesn’t understand that what she is about to confront can only be dealt with one way: headlong. Rakhee runs into family secrets and sealed lips wherever she looks, and senses that the order in their lives is carefully crafted to bind the chaos and prevent it from spreading. She grows close to her cousins and grandmother, and begins to get attached to Ashoka, the ancestral house that is entrenched in history. She begins to piece together her own fractured sense of where she comes from from the family stories she has heard. But the fabric of her recently adopted universe is about to unravel, and she is going to learn the heart-rending truth about why her mother fled her childhood home. But before that final secret is unveiled, she will tumble upon the secret in the garden. Her cousins tell her that a rakshasi haunts the deep forest, her mother solicits a promise from her to keep well away from its dangers, and yet her mother and aunt have secret trysts there in the dead of night. Resentful of her mother for taking her away from her beloved Aba and suspicious of her friend Prem, she goes looking for answers. Aba is the centre of gravity in their lives and it appears to Rakhee that without him, both Amma and she seem to be in danger of falling apart. The book opens with Rakhee leaving her fiancée for a trip to India, her first since that fateful summer. She leaves behind his ring, and also a manuscript of her life. She explains what she was always avoiding speaking about; why she stopped talking to her mother when that summer closed and why she has held that silence ever since. The Girl in the Garden moves quickly from frame to frame, and the effect is altogether pleasant. Kamala Nair’s prose is simple and charming in parts, but equally clichéd in others. The predictable plot twists and stonewashed themes are drawbacks, but the characters are subtly etched and make the book worth reading. Rakhee is clear-sighted for a ten-year-old, and the narrative she sketches will present Nair’s universe through a kaleidoscope of conflict, infinitely better than a microscope. By Ahmed Faiyaz · One of the most intuitive and dazzling works of fiction by an Indian writer in the recent past.